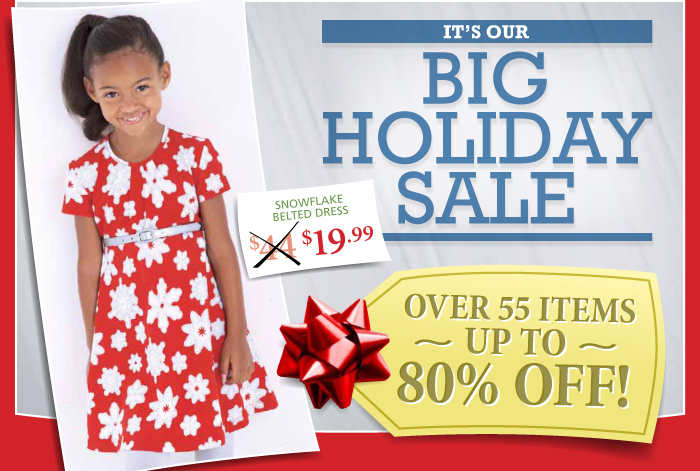 Up to 80% Off Holiday Styles, Hurry Quantities Are Limited! Shop Now! 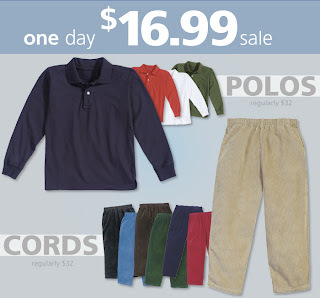 SUPER SAVER: $16.99 Cord Pants & Long Sleeve Polo Shirts, TODAY ONLY! Shop Now! Not valid on previous or pending purchases. 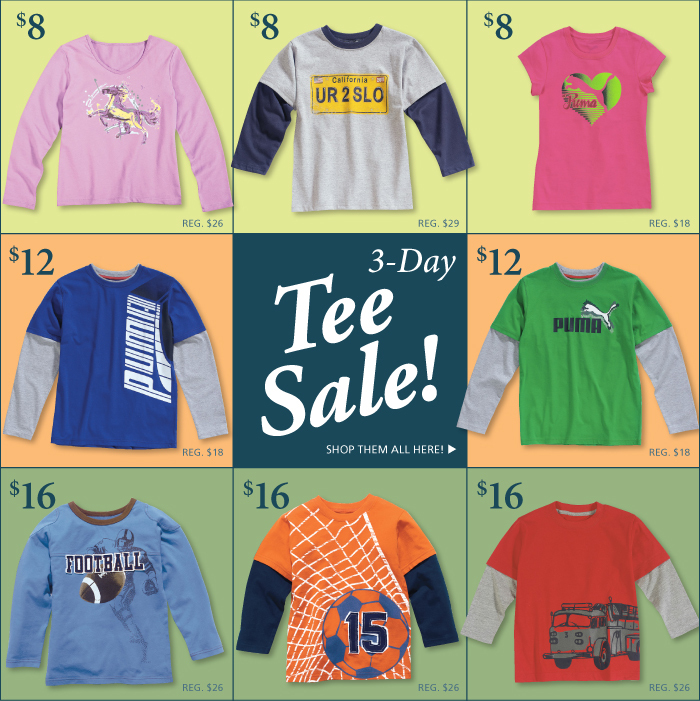 Offer ends 11/21/11 at 11:59pm. $18 Long John PJ's for Boys & Girls, 3 Days Only! Start Shopping Now! Not valid on previous or pending purchases. 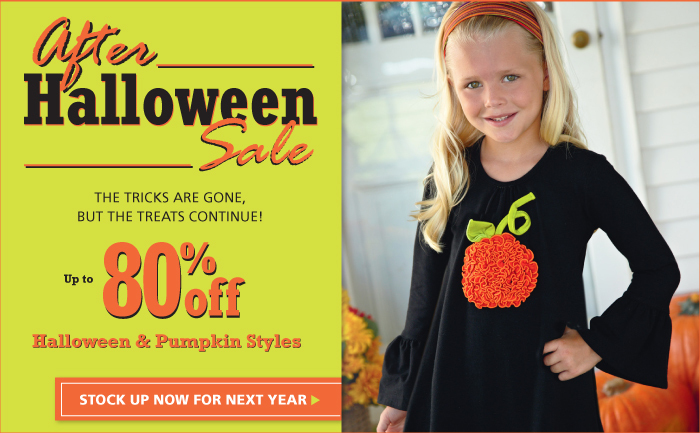 Offer ends 11/20/11 at 11:59pm. Are you ready for the cold? 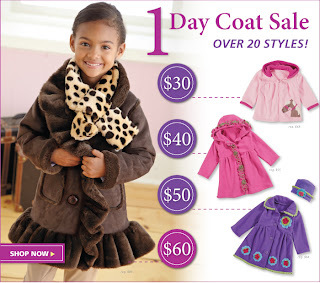 Up to 50% Off Coats TODAY ONLY! Shop Now! Not valid on previous or pending purchases. 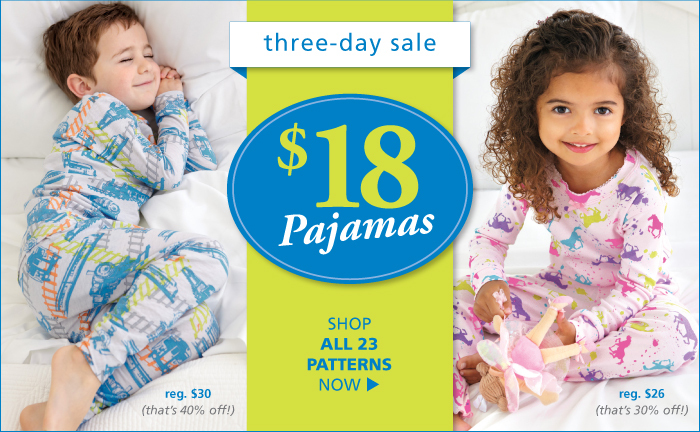 Offer ends 11/16/11 at 11:59pm. 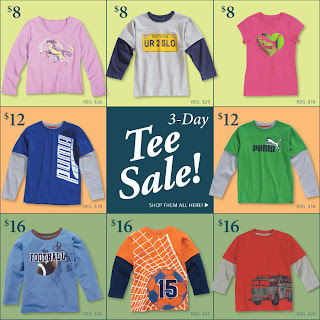 60 Tees Starting at Only $8 for 3 Days! Start Shopping Now! Not valid on previous or pending purchases. 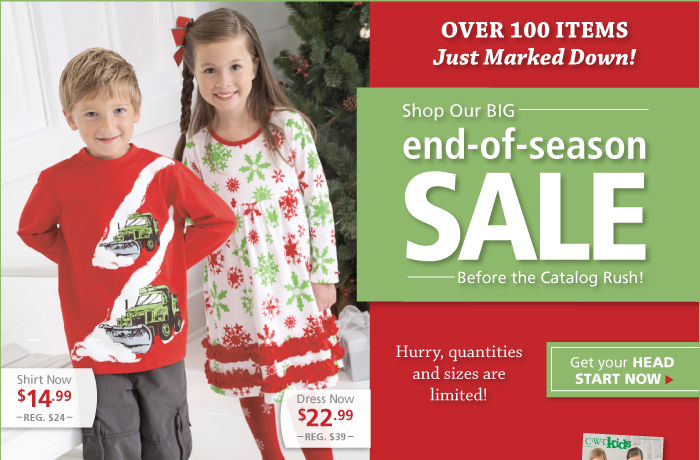 Offer ends 11/16/11 at 11:59pm. What will she wear to the party? 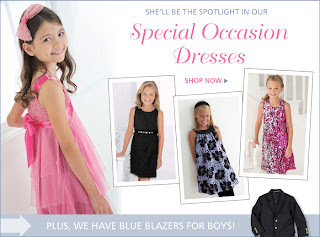 Shop Special Occasion Now! 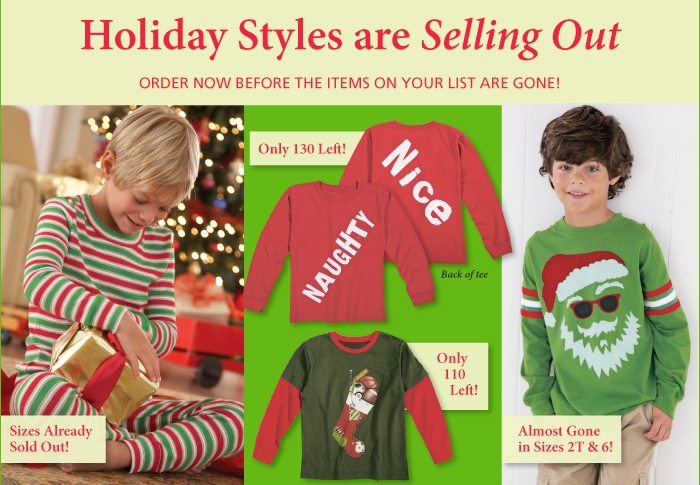 Hurry, Your Favorite Holiday Styles Are Selling Out! Shop Now! Shop Now! Over 100 Items Just Reduced BEFORE the Catalog Rush! Enter Coupon Code CHY650 at Checkout and receive $6.50 Shipping on Any Order, TODAY ONLY! Shop Now! Not valid on previous or pending purchases. Offer Ends 11:59pm EST 11/04/11. Up to 80% Off Halloween Clearance. Stock up for Next Year! Shop Now!